Lowes is having another Build and Grow Clinic this Saturday, September 12. This Saturday, your child gets to make a drum! Sign up Here . Don’t you love all these Home Depot Workshops – I could use this one! Sign up for Home Depot’s Workshop “Kitchen Updates” on September 24th! It is the first Satudray of the month -you know what that means – another Home Depot Kids Workshop. This week the kids are making a Bean Bag Toss. This workhop is for kids 5 -12 in age and is from 9 -12. Kids not only get their “craft” but they get a FREE apron and achievement pin too! Go Here to register. Moms by Heart has your Ace Hardware rebates for September. See them Here. Lowe’s has another FREE workshop for the kids this weekend (Saturday, August 22 from 10 – 11 am). This weekend your kids can build a wooden school bus. Go Here to sign up ahead. Thanks, Mummy Deals. Update: The last day to request you information pack is today, August 12! Please see the comments there are mixed reviews. I have been very curious about Direct Buy for a while now – buying furniture directly from the retailer rather than from a distributor. I am already sign up for this one myself! This offer might not last long! Click the icon below or go Here. This weekend ( Saturday, August 3, 2009 , from 10am – 11am) sign up for a Lowes Build and Grow Clinic Here and your child gets to make a wooden power boat! 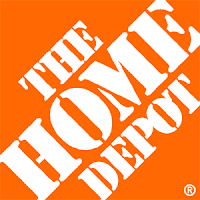 Go Here to sign up for a kid- friendly Home Depot workshop this Saturday, August 1. You children get to bring home a newly constructed message center and a kid-sized orange apron plus an achievement pin. Not bad for Saturday morning fun!